Port Everglades, home to Royal Caribbean's Oasis of the Seas and Allure of the Seas, saw its cruise passenger numbers jump 2.4% up in the third quarter compared to the same period last year. Port Everglades Director Phil Allen is happy about the results, “These trends show the resilience of the nation’s cruise market and the importance of the cruise industry to South Florida. In a tough economy, cruising offers guests affordable vacationing options." 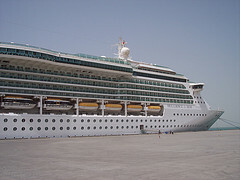 Senator Dennis Meadows of Jamaica's Labor Party lashed out over the lack of development in Falmouth, Jamaica since the port opened to cruises in February 2011. 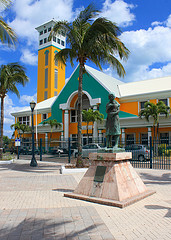 Falmouth's cruise port is a $7.5 billion endeavor that is a partnership between Jamaica and Royal Caribbean. 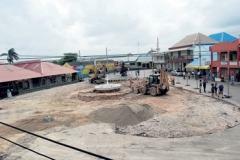 "The apparent abandonment of the town since the opening of the cruise ship pier demonstrates the perceived lack of commitment on the part of various government agencies in sustaining the focus on the development of Falmouth." According to Meadows, businesses in Falmouth have experienced up to a 50 percent fall-off in their revenues since the implementation of the traffic management system in February. 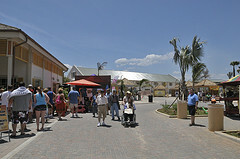 When Falmouth was being planned, there were several projects that were to be included in the finished product including an artisan village, municipal market, and a transport center. Meadows went on to claim that the people of Falmouth were feeling a sense of abandonment and urged the government agencies in the area to make plans to finish development of the area. "There is a pervasive sense that the people are subjects of Royal Caribbean Cruise Lines which seem to be the primary focus and the sole beneficiary of the development that has so far taken place, and this is unsustainable." Dubai has only been a cruise destination since the opening of its cruise terminal in July 2010 but already it's popularity continues to grow. Royal Caribbean should know exactly how well Dubai has been performing considering it's one of two cruise lines to home-port a ship in the Middle Eastern city. 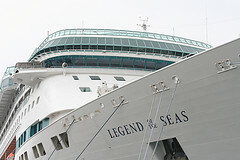 Royal Caribbean's Legend of the Seas makes stops in Busan, South Korea and that has meant a lot of money for the city. How much money? Well, of the 1,800 passengers onboard the ship, all but 250 were foreign tourists and each foreign tourist represents on average $140 to $180. That comes out to an economic impact for each ship stop of about $267,000. Thanks to Busan's success, other South Korean cities are competing now to attract ships like Legend of the Seas, including Incheon, Jeju and Yeosu. Jamaica is back in the top-10 fastest-growing cruise destinations in the region after not making the list for the last five years. Jamaica posted double-digit growth between January and May 2011, growth that has coincided with the opening of the Falmouth cruise port in February of this year. Since February, Falmouth has seen nearly 181,650 passengers and 65,400 crew arrive which translates to generating $15.8 million in passenger expenditure. Falmouth was developed by the Port Authority of Jamaica in partnership with Royal Caribbean Cruise Limited (RCCL), whose investments were estimated at $167 million and $102 million, respectively. Royal Caribbean has promised to send eight million cruise passengers over the next 8 years into Falmouth. Ahead of Jamaica is St Maarten with 21.5% growth, followed by the Bahamas at 16% and Jamaica in third with 12.6%. The tourist port of Bari, Italy is taking a big leap forward this year with Royal Caribbean's mega cruise ships calling on Bari for a total of 22 times, which will bring 80,000 more tourists this year. To help accommodate the passengers, the province is offering a shore train, the pilot project of the Department of mobility. The idea is to take through the intermodal bus and train cruise passengers visiting the port of Bari to visit the centers of major artistic and historical interest of the Province. Partners of the project include the Port Authority of the Levant , the City of Conversano and Royal Caribbean. The City of Conversano has provided a welcome service in the language, guided tours, tastings and wine, cooking classes and shops open. 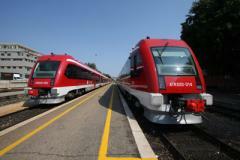 The Councillor of Apulia Region Guglielmo Minervini explains the shore train project makes sense, "By enhancing the hospitality offered by the area more attractive we make the first step of Bari The trial will cover the city of conversation, but other centers will be able to join as early as next year." Representatives of seven U.S. cruise companies will visit Alicante, Spain from September 22-24 to explore the possibilities of the port and the city for inclusion in the scales of their cruises. At the Port of Alicante, employers will provide a detailed tour of the municipality, which includes a visit to the port facilities and various destinations in the city and the province suitable for cruisers trips. The group is made up of directors of Royal Caribbean, Silversea, Windstar Cruises, Princess Cruises, Crystal Cruises, The World and NCL. They all pose a significant potential to attract cruise ship tourists, so the visit will be crucial for the interests of the Port and the city. Result of relations with one of them, Royal Caribbean, owner of Independence of the Seas, visited yesterday the Port of Alicante, with a passage more than 4,000 travelers who had the opportunity to many excursions in Alicante and its province. The ship, which came from Palma de Mallorca, afternoon sail to Lisbon, from where they sail back north to their summer base in Southampton. Launched in 2008, the Independence of the Seas will return to dock in Alicante on 29 August. According to a Wikileaks message released by the site, the Bahamas government attempted to convince Royal Caribbean to build a cruise port on the island of Great Inagua, exploiting that island's 50,000 pink flamingos. The message from February 23, 2004 indicates former Bahemian Prime Minister Perry Christie met with United States Ambassador Robert Witajewski and discussed the plans. Christie was hoping Inagua's flamingo population would give the island a competitive advantage in attracting cruise ship passengers. Witajewski's report to Washington also mentioned, "The Prime Minister also revealed that he was in negotiations to conclude an agreement with Royal Caribbean Cruise Line to build a deep water port at Great Inagua". The report continued, "Though the island is currently barren, it is home to more than 50,000 pink flamingos, a huge Morton Salt plant and at least one nice beach. He was hoping that the flamingo national park would provide cruise ship passengers with an interesting diversion to the normal Caribbean port of call. "Christie took on board charge's suggestion that costs of constructing a base on Great Inagua could effectively be reduced if any Royal Caribbean construction were to be made part of the Government of the Bahamas' plans." That refers to plans also unveiled by Prime Minister Christie to construct a strategic Defence Force base at Inagua, in an attempt to combat drug and illegal immigrant trafficking, plus fisheries poaching. A large group of senior policymakers from Liguria and Genoa, with the Mayor Marta Vincenzi, Claudio Burlando, President of the Region and President of the Port Louis Merlo, welcomed with great enthusiasm the first stop in Genoa of Royal Caribbean's Mariner of the Seas. Mariner of the Seas will make seven stops during this summer, while 14 are expected in 2012, for a total of 60,000 passengers. In addition, as announced by Lina Mazzucco, general manager Royal Caribbean in Italy, "the company could become a shareholder of the passenger terminal of the Maritime Station, saw the new commitment of the port of Genoa." At the first port of Genoa, Mariner of the Seas was also the scene of an opportunity to present the Royal Caribbean's partnership with the Telethon Foundation, a group that conducts research on genetic diseases. Along with the testimonial of the initiative in Genoa - Olympic gold medalists Valentina Vezzali, Juri Chechi, Antonio Rossi. Royal Caribbean's Director of cruises in Italy, Lina Mazzucco has provided details of the collaboration, which will be held with regular donations by Royal Caribbean, charity dinner on board ships arriving in Italy, and hospitality on board for the regular meetings of researchers from the Foundation.